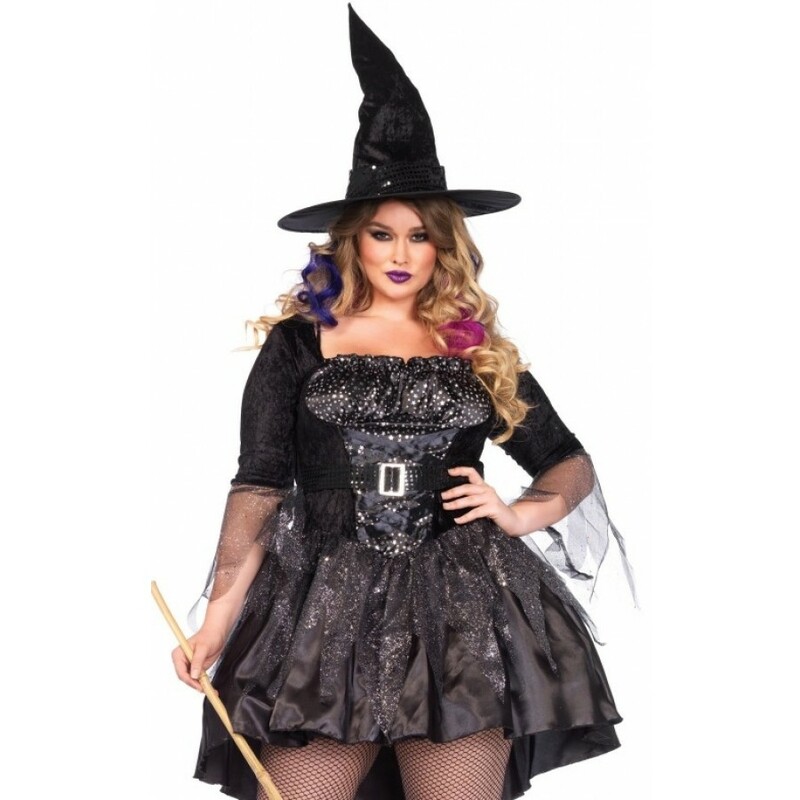 Cast your favorite spell in this wickedly elegant Black Magic Witch plus size costume. Black Magic Witch is a 2 piece costume set includes the elegant high/low hem dress with foil star ruched bodice and tattered glitter tulle skirt accent and attached sequin belt. Comes with the matching hat. Plus size only with a high/low skirt and flattering fit for your curves. Item Number: LA-c85475X | Approximate Size (Inches): 8.00 wide x 2.00 deep x 10.00 high | Approximate Shipping Weight: 2.00 lbs.